Mar Toma Nazranees (St. Thomas Christians) draw the sign of the cross on themselves in a very special way. In the name of the Father and the Son and the Holy Spirit Amen. There is only ONE GOD and in the One God there are THREE PERSONS. 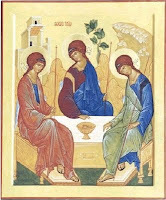 God the SON, the SECOND PERSON of the Holy Trinity (namely, FATHER, SON and the HOLY SPIRIT), came down from heaven and took the human form, and in this God-man the DIVINE and HUMAN natures are joined together. 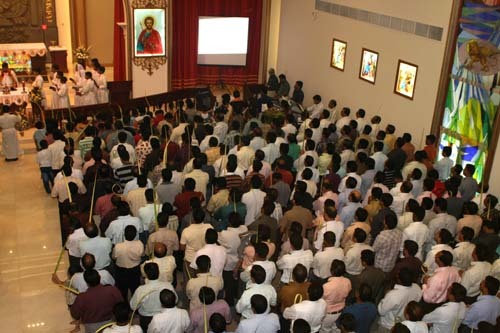 Mar Toma Nazranees, whenever they enter a church or chapel and when they take leave of it, make a profound inclination and bless themselves with the sign of the Holy Cross and confess the mysteries of the Trinity and Incarnation. During the Holy Qurbana or any other liturgical celebration, whenever the celebrant signs himself with the sign of the cross or blesses the congregation with the same sign, the Mar Toma Nazranees get themselves signed with this holy sign. It is also the custom of Mar Toma Nazranees that whenever they pass by churches or chapels, they bless themselves with the sign of the cross. Mar Toma Nazranees, when they recite the Lord’s Prayer, either at the beginning or at the conclusion of the Holy Qurbana or any other liturgical celebration, add always the following Qanona to it; this Qanona, however, is the highest praise offered to God in heaven, according to the heavenly vision given to Prophet Isaiah (Is 6, 3) and St. John the Evangelist (Rev 4, 8). b. “Holy God, Holy Mighty One, Holy Immortal One, have mercy on us” (thrice). From the very beginning, each Church formulated its own expression of professing the faith. 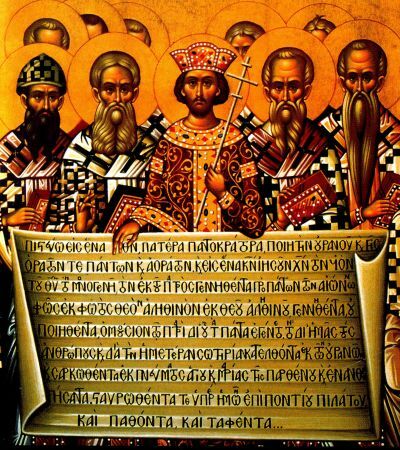 It was the Council of Nicea, held in 325 A. D., that attempted first to collect all such creed formulas and to codify a common one. The work was complete only in the council of Constantinople held in 381 A. D. The Creed so formulated is known in different names: the Nicean Creed, since its work started in Nicea, the Niceo- Constantinopolitan Creed, as its formulation was accepted in Constantinople; and Universal Creed, since it was formulated for the use of all Churches. Mar Toma Nazranees profess their faith on all important occasions, such as the Qurbana, other sacraments, sacramentals or other occasions, using this particular formula of faith. Hail, Holy Mary, Mother of Jesus: Mother, help us. Hail, You shrine of all mysteries and the chosen vessel: Mother, help us. Hail, You glorious sun, the effulgent moon: Mother, help us. Hail, You who alone among women has heard the heavenly greetings: Mother, help us. Hail, You whose virtue was as a fragrant flower, and whose star does shine in every hour: Mother, help us. Hail, You lamp of divine light, the treasure of the Lord of Hosts: Mother, help us. Hail, You fount from which Sprang the mystery of priesthood: Mother, help us. Hail, You who did open to us the gate of Paradise above: Mother, help us. Hail, You the sun whose light shines on all worlds: Mother, help us. Hail, You the first of all saints: Mother, help us. Hail, You the pride of Christians everywhere, and crown of all believers: Mother, help us. Hail, You the vessel that rides the seas, you the heaven of peace: Mother, help us. 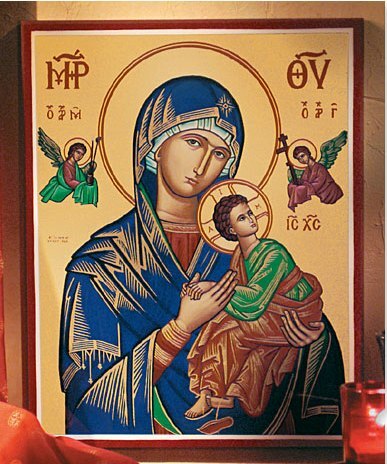 Hail, You through whom was incarnate the Divine Word: Mother, help us. Hail, You whom Moses beheld in the burning bush, unconsumed: Mother, help us. Hail, You whom prophets of old foretold as the noblest of all mankind: Mother, help us. Hail, You Ark of the covenant, you jar of Manna, you locked door, you Rod of Aaron which flowered: Mother, help us. Hail, You abode of godhead, you throne of Most High: Mother, help us. Hail, You from whom all virtue and all perfection take their measure: Mother, help us. Hail, You spotless Virgin: Mother, help us. Hail, You who are filled with all grace: Mother, help us. Hail, You glassy throne on high: Mother, help us. Hail, You whom no tongue can describe and whose praises even the masters of language cannot frame: Mother, help us. Hail, You gate of salvation and mother of blessing: Mother, help us. Hail, You who are above all crowns that we can offer you: Mother, help us. Hai1, You fount of holiness: Mother, help us. Hail, You whom all tribes of men shall call blessed: Mother, help us. Blessed be you, O! fragrant paradise of virtue: Mother, help us. Blessed be you, O! throne of the Lord of the worlds: Mother, help us. Blessed be you, O! most blessed of all saints: Mother, help us. Blessed be you, O! fount of mysteries, in whom did dwell the King of Kings: Mother, help us. Blessed be you, Whose name was magnified in all corners of the earth by your blessed son: Mother, help us. What tongue can tell forth your praise, O! Mother of Blessing, O! Fount of joy, O! Blessed Field, O! Measure of all human purity. We beseech you to plead our cause before your beloved Son, that he may forgive us our sins and sanctify us by his grace. O! compassionate Mother, ask from him mercy, forgiveness and all grace for us all, who bless you, praise you and magnify you. Pray, O! Mother, who are never besought in vain, that he may grant to the world peace, to the Church victory, to sinners forgiveness, to the sick healing, to the distressed deliverance and to those that mourn comfort. Blessed Mother of Jesus, be you ever my advocate and mediatrix. I am your servant, in fact your son, returning to my Lord and God, that he may bless me with forgiveness, pardon and grace. Ever may I serve him in true worship and him alone, that I may be found worthy to enter his glory in the court of his heavenly Kingdom. Amen. 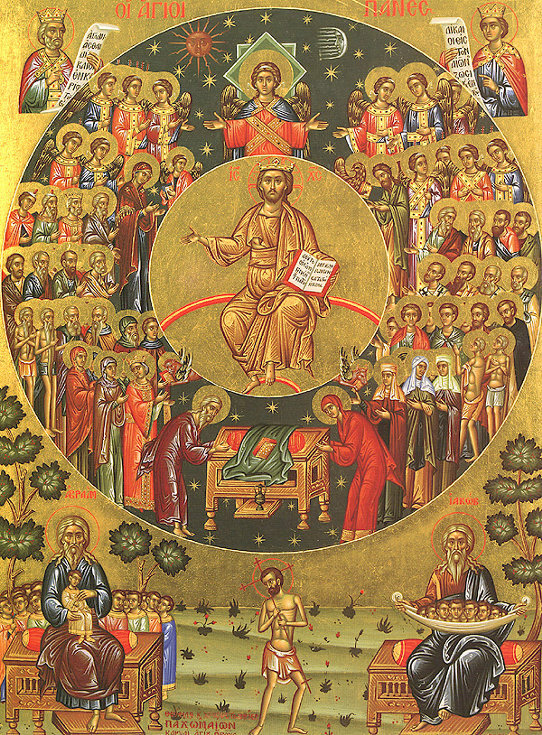 Blessed be he who elected you and sanctified you, Apostles, Martyrs and Saints, whose remembrance is ever blessed. You Physicians of the soul, stars of virtue, bastions of truth, custodians of the treasure of heaven, who loved your Lord and his chosen, in our behalf do you beseech the Father who dwelt in your hearts, the Son whose power abided in your spirits, and the Holy Spirit who did grant you to wear crowns of joy, that we may follow you. Do you plead our cause that we may in turn lead the world to the truth, ever faithful to Christ whom you exalted, to the end that we may one day be worthy to rejoice with you in glory that fades not. Forever and ever. Amen. Most merciful Lord, we beseech you to forgive the shortcomings of our forefathers and deceased brethren and remember not their sins. Do you not, we pray you, retire them to the last place in the lot of the righteous. They partook of you through water and the Spirit, and kept the holy sacrifice. Do you rather cause them to stand in the front ranks of the blessed in the day of Judgement. This we ask by your mercy, O! Father, by the compassion of your Son and of your Spirit. Amen.